Mary, are you still alive? Yes, I'm still alive! Even though I've nor spent much time on here. First, I'm writing like a mad women. I have a BIG surprise! However, I'm not telling you yet. The second thing I need to tell you is: I'm now the proud owner of a publishing company! I'm as shocked as you, but I did. Gone Writing Publishing is up and running. I love it. It's probably the greatest thing I've done. Then again, it's also the scariest. 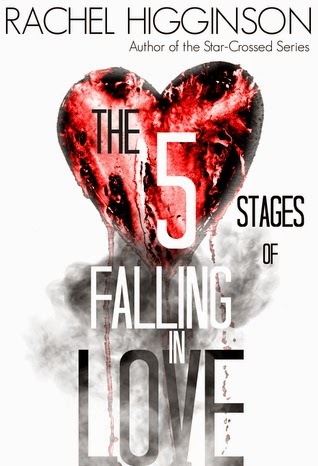 Next, I'm still writing The Ninth Innings Series with Lindsay Paige. We are so excited about this series and the boys are beyond fun to write (and the girls too). As for anything else...I have nothing. I know I should update you on the #FatGirlsStory , but it'll have to wait until another day!! #FatGirlsStory -- Where did I leave off? So, I haven't been updating y'all on my story because 1) I've been busy 2) I've been sucking at diet and exercising 3) I don't like to keep telling everyone I'm failing. Here's what been happening. Last weigh in I was 283. Last week when I weighed in I'm now 292. Let me tell you the tears I've cried seeing that number on the scale. I hate it thinking I'm so close to 300 lbs. I know it's my own fault and I can't seem to shoving food into my mouth. I eat when happy, sad, glad, mad, and every single moment in between. I know that I need to do something about and sitting around belly-aching about it a HUGE drag. Today, I took some type to get some recipes from Pinterest and I have some small bowls to keep back my portions in control. I have NO...I mean NO Junk Food in this house. I'm done being fat. I'm done with looking in the mirror and not liking what I'm seeing. I don't like it one single bit! Time for a final change. For the past several months Lindsay Paige and I have been hinting around to a secret project. Now, we told you what it was at the end of Tainted (Oh Captain, My Captain Book 7); however, for those who haven't read it yet we're going to let you all in on the secret. Three, the first three books will be on your Kindles and Nooks this fall. We will keep you updated on all the release dates!! 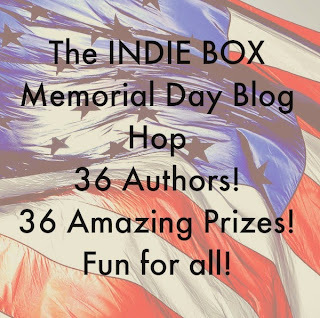 WELCOME TO THE INDIE BOX MEMORIAL WEEKEND AUTHOR HOP! Starting today and running through Monday there are 36 authors participating in an awesome author hop! All you have to do is follow the links from page to page and enter each authors giveaway! Everyone have a safe and HAPPY MEMORIAL DAY WEEKEND! Once you enter my giveaway make sure to hop on over to Skye Turner and enter her giveaway! Comment to enter to win! I'll choose five people to win an ebook of your choice! Bad news first? Or Good news? Week 3 of my journey of O-V-E-R!!!!!!!!!!!! This past week has been the worst I've had in a long time. Not only personally, financially, but even my author life has taken a hit. I truly have nothing good to say about this week, but that it's over. Now, I'm sure you're wondering What could be the bad news? Last week I was so proud of myself that I lost a few pound, but this week I gained it back. I know it was because I was so stressed I ate everything and anything in sight. However, I'm going to take this setback and think of it as a learning experience. Instead of eating, I should have went to the gym and worked off some of my stress. I'm going to get back on track! I promised myself I would and I'm not one to break promises. Especially, if they are this important. Y'all I've had a long week! No joking! It's been the type of week you want to crawl into bed and never leave, with a bottle of wine next to you. All in all it was a good week! So, last week I weigh 285. I know...I'm big...I got it! I don't need anyone to comment and remind me. I own a mirror! I'm so proud of me! I know 5 lbs isn't a ton, but you have to start somewhere and I have to go slow. I don't want to drop a real fast and put it back on. Last week I started a blog-journey called Fat Girl's Story and I put a line in there about 'ripping off the band-aid'. Well, I received a message stating I should be truly honest with everyone. I asked the person what did she mean. She stated if I was going to be honest with everyone I should divulge all the information about myself. I did say I wouldn't do that, but she made a point. But I want to yell....... I DONT WAN TO TELL YOU EVERYTHING!! Hello, My name is Mary Smith and I'm 35 years old and I'm 285 pounds. I went 26/28 jeans and 5x shirts. Yep, it's the truth. I'm THAT big. FYI: this is probably the craziest thing I've ever done. Sure you can look at me and you know I'm overweight. There's no mirage here. However, telling people my actually weight (besides my doctor) is something I've never EVER EVER done. I have been overweight my whole life. I've always been that girl. However, it's never bothered me. I Know RIGHT! It's scary! I have stopped eating the four main meats (beef, chicken, pork, and turkey). I do occasionally eat seafood and I still eat dairy. So, please don't call me a vegetarian or vegan, because I'm not either of those. Nonetheless, I'm now eating healthy, And an occasional cheat day. So on Monday I took a huge leap off a cliff. Okay not literally; however, I did something I'd never thought I would do. Are you shocked? Trust me I am! Because if you know anything about me is that I hate to sweat and I hate to exercise. Nonetheless, I have exercised for two days now and I'm still breathing.